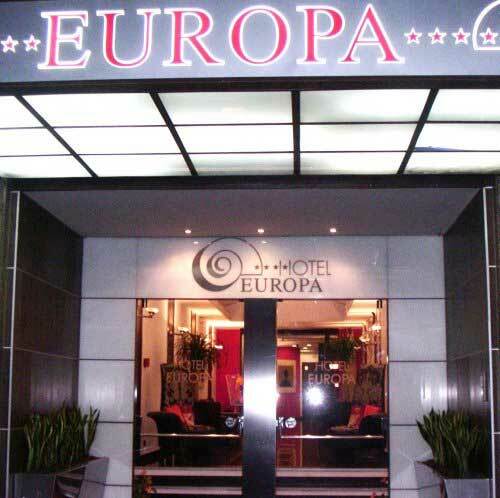 As local committee we suggest the Hotel Europa. The above rates are per room, per night, VAT included, buffet breakfast included. Free services: Wi-Fi in all rooms and common areas, Internet Point, Fitness Room, Billiards Room, Luggage Storage. Validity: for all bookings made before July 14th, 2015. Cancellation: no penalty for cancellations received by 14 July 2015. The rooms not cancelled within this period will result in the charge of entire stay. 18 m2. Sober and functional the Standard Room has a three-quarter bed. Free Wi-Fi, air conditioning, heating, parquet floor, desk with lamp, soundproof windows, and direct dial telephone, minibar, TV, private bathroom with shower, hairdryer, complimentary toiletries. 30/35 m2. Very spacious, comfortable, functional and welcoming, the Superior Room has 2 rooms, one with a double bed and the other with lounge. Free Wi-Fi, air conditioning, heating, parquet floor, desk with lamp, soundproof windows, direct dial telephone, minibar, satellite TV, private bathroom with shower, hairdryer. 35/40 m2. Spacious and functional. The Family room consists of two rooms, each with a double bed or twin beds. They have free Wi-Fi, air conditioning, heating, parquet floor, desk with lamp, soundproof windows, direct dial telephone, minibar, TV, private bathroom with shower, hairdryer, complimentary toiletries.